Also called flexible benefit plans, cafeteria plans allow participating employees to choose among two or more benefits consisting of cash and qualified benefits. See IRC Sec. 125(d)(1)(B). with the employer. The employer then uses these funds to pay for the employee’s benefits. This allows the employee to pay for his or her own benefits with pre-tax dollars. Lower FICA and income tax withholding due to lower gross pay. Ability to select those benefits most needed. Opportunity to refuse benefits already provided by a spouse’s employer. 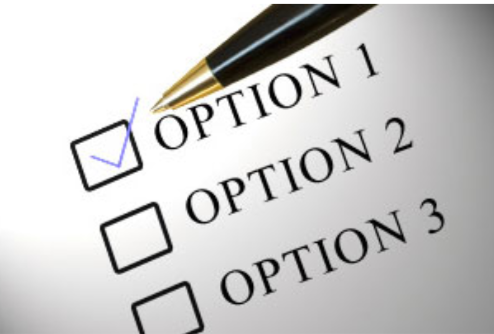 Option of redirecting tax savings to meet retirement needs, i.e., 401(k) plan. Potential qualification for the earned-income credit due to lower gross income. Lower payroll taxes (FICA, FUTA and sometimes worker’s compensation insurance) due to lower gross pay. Sharing cost of benefits with employee, if desired. Help in retaining key employees. Improved employee morale due to show of employer concern. Potential reduction in fringe benefit costs. Scholarships or fellowships described in IRC Sec. 117. Educational assistance programs described in IRC Sec. 127. Qualified retirement plans, except cash or deferred arrangements under IRC Sec. 401(k). Long-term care benefits, including long-term care insurance or services. Contributions to medical savings accounts described in IRC Sec. 220. Health reimbursement arrangements described in Revenue Ruling 2002-41. The Transportation Equity Act of 1998 allows pretax contributions for qualifying transit vouchers or parking, but these cannot be part of a cafeteria plan. Sole proprietors and partners (or attributed partners) or subchapter S shareholders who own (or who are attributed to own) 2% or more of the business may not participate. Description of benefits and coverage periods. How benefit elections are to be made. How employer contributions are to be made, i.e., employer funds or salary reduction. Maximum amount of employer contributions. The plan must be available to employees who qualify under a classification established by the employer and cannot discriminate in favor of highly-compensated or key employees. One discrimination test that greatly impacts smaller employers is the 25% rule. The statutory, non-taxable benefits provided to key employees may not exceed 25% of the statutory, non-taxable benefits provided to all employees. If nondiscrimination rules are violated, key employees lose the benefit of the cafeteria plan and are taxed on the maximum amount of cash or taxable benefits. There is no effect on rank and file workers. owned more than 1%3 of the employer and received more than $150,000 of compensation from the employer. In-service distributions are subject to a five-year look-back period. This value applies to 2019. The family attribution rules of IRC Sec. 318 apply. Any participant is deemed to have the same ownership share as his or her spouse, children, parents and grandparents. Beginning in 2011, one provision of the Patient Protection and Affordable Care Act (PPACA) provides qualified small employers with a simplified “safe harbor” method of meeting the nondiscrimination requirements applicable to cafeteria plans. Under this safe harbor, a cafeteria plan is treated as meeting the nondiscrimination rules if the plan satisfies certain minimum eligibility, participation, and contribution requirements. An eligible small employer is, generally, an employer who employed an average of 100 or fewer employees on business days during either of the two preceding years. On August 6, 2007, the IRS issued proposed regulations (NPRM REG-142695-05) on a number of issues related to cafeteria plans, including nondiscrimination rules. This suggests that the IRS will be paying more attention to this area in the future. These proposed regulations are generally applicable to plan years beginning on or after January 1, 2009.